Where Are the Indian Doctors on "Grey's Anatomy"? Where Are the Indian Doctors on Grey’s Anatomy? When Grey’s Anatomy debuted twelve (yes, TWELVE) years ago, much ado was made about the show’s diversity and blind casting. As legend goes, Shonda Rhimes demanded her team venture outside of conventional casting practices, choosing actors to portray her characters based on their merit and performance instead of forcing them into preconceived confines. The show that launched Shondaland was an overnight success, catapulting talents like Ellen Pompeo, Chandra Wilson, and Sandra Oh into relative stardom. Those names are significant not only because they are women helming a primetime network drama but also because they are a diverse group of women. Over the years, as the Grey’s Anatomy’s stable has cycled through a variety of recurring and regular characters, Rhimes has notably continued to feature nonwhite actors, most being black. However, since Oh left the show in 2014, Rhimes has not made an effort to include another Asian actor in a major role. There are many rumors about Indian parents forcing their kids into the hard sciences (like medicine and engineering), and I can tell you that the rumors are both true and false. In 2005, the same year Grey’s Anatomy debuted, I entered high school. And high school–era Radhika was strongly considering a career in medicine, not realizing I was fully buying into the cliché. There are many rumors about Indian parents forcing their kids into the hard sciences (like medicine and engineering), and I can tell you that the rumors are both true and false. For many first-generation brown kids like me, there is no discussion when it comes to careers. I can never say enough how extremely lucky I am to have parents who were open to the fact that I liked the arts enough to pursue it full-time. Still, myself excluded, the number of South Asians that enter the medical field is staggering; it is integral to the fabric of the industry. Yet Grey’s Anatomy has never featured a South Asian in more than just a guest spot. In fact, I can only count two Indians who have worn scrubs in the halls of Seattle Grace/Grey Sloan Memorial Hospital. 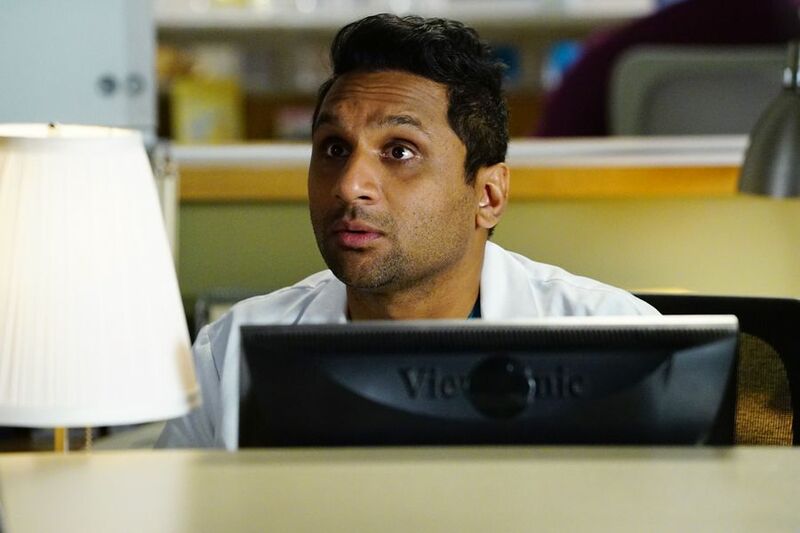 We got Anjul Nigam as the hospital’s psychiatrist, who has popped up a handful of times during the show’s 13-season run, and Ravi Patel, whose guest spot as a nurse earlier this season made me straight-up giddy. The #OscarsSoWhite issue affected more than just the black actors, filmmakers, and crew; it affected all minorities. But Rock’s speech made the case for a binary issue instead of fighting for all of us. It’s understandable that as a black man, Rock was speaking to his experiences and on behalf of his community. Similarly, Rhimes is using her platform and power to feature members of her community. And she should. The black community has certainly put in the time, enduring racism and systemic discrimination for an innumerable amount of years. But “diversity” extends beyond white and black, and a conversation about inclusion is automatically rendered useless if it begins by excluding another group. 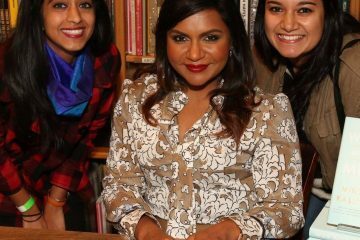 There are a limited number of South Asian showrunners in television, from Mindy Kaling of The Mindy Project to Veena Sud of The Killing, making the point of entry for us that much harder. The lack of South Asians in Grey’s Anatomy is not only a political issue but also a representation issue. We have to look to gatekeepers like Chris Rock and Shonda Rhimes to push diversity and inclusion agendas forward for everyone. This is not to say the show has shied away from the groundbreaking casting and storylines that drew in its initial awe and attention—Grey’s Anatomy has remarkably portrayed interracial and LGBTQ characters and relationships throughout its entire run. I’m merely pleading for Arizona’s next love interest or the next face to emerge from someone’s past or even an incoming intern to have Indian heritage (and an Indian name . . . please). We already know Rhimes is open to casting people from all walks of life, and I have faith that Grey’s Anatomy will get there with its South Asian casting—ER only cast Parminder Nagra in its ninth season, and The Mindy Project features an Indian lead primarily because Mindy Kaling is the driving creative force behind the project. ABC has officially renewed Grey’s Anatomy for at least one more season, giving the writers room plenty of time to get their wheels turning for Desi characters and storylines. I’m aware that Grey’s Anatomy isn’t built to mirror reality (especially given all of the plane crashes and shootings and general trauma these doctors have endured). But for a show that is at least somewhat attempting to represent real life and real people, there is still some work to be done. Radhika Menon is a TV-obsessed writer living in New York City. At any given moment, she can ruminate at length over "Friday Night Lights," the University of Michigan, and the perfect slice of pizza. You can call her Rad if you so please.